Our SEO training courses are targeted for all levels – we offer basic training right up to Advanced SEO training for professional Online Marketers based in Sydney. We offer a set of targeted training courses for businesses that are in need of advanced training courses to fit digital marketing needs. The benefit of these training courses is that they are tailor-made for your business and are designed to be presented at your place of business at a time that best fits your schedule. What can we cover in the SEO Training courses? 1. SEO Basics – This is our basic level SEO course designed for businesses who are keen to learn the basics of SEO and also delve into more advanced strategies. 1.1 – Writing accessible content Key SEO areas for content – URL structures, on page optimization, links and anchor text. – What types of keywords are searchers using to find content in search engines? 1.4 – 10-minute question and answer time. 2. SEO Medium – If your business has a strong grasp of SEO basics, then we have developed a more advanced SEO training course. This course will cover more complicated areas of SEO and demonstrate actionable SEO strategies for your business. 2.1 – Writing to be seen – SEO and content marketing. We will talk over the key SEO elements which need to be included in the content. 2.2 – Navigation and hyperlinks – this includes information on outbound links within content and also where to link to internal content elements to assist SEO on site. 2.3 – Content inventory & labeling, and elements of website design related to writing content - Where to use different tagging on content writing and how to include SEO optimized H1, H2 tags as an example. 2.4 – Keyword Research elements – Important keyword research elements to use. 3. Traffic Growth – Are you interested in strategies which are designed to drive traffic to your business? Then you must attend our Traffic Growth strategies session. 3.1 – Interactivity and engagement of content – Important elements of content such as social sharing buttons and how to best promote content marketing elements. 3.2 – Content Marketing that works for SEO – Examples of content marketing elements from similar industries which are working well and how they can be related to the business. 4. Inbound Marketing – If you want to know the basics of Inbound Marketing then we have developed a course for you which will show the basics of inbound marketing and what areas will work for your business in 2018. 5. Content marketing – If you are interested in knowing what types of content marketing strategies are working in 2018 we have developed a 101 course to demonstrate what works and how you can scale up content marketing. 6. Link Building Courses – Is your business looking to learn about link acquisition, outreach, and content development. 7. Advanced SEO Training – We can offer training on more advanced SEO areas for your business. 8. Anything else – Custom requests for SEO content. * Training at your office location. * We will also travel to areas outside Sydney for training. * Be sure to contact the team at Prosperity Media to include one of our training courses in your 2018 or 2019 planning! Web developers – Do you need to be skilled up on SEO. Content writers – Do you need help writing for SEO? PR content writers – Do you deal with SEO & Link Acquisition campaigns? PPC Employees – Do you want to learn more about SEO? SEO Employees – Do you want more advanced training in SEO? Social Media Employees – Are you looking to learn about SEO? James Norquay has over 11 years experience in digital marketing in the Australian and US markets. 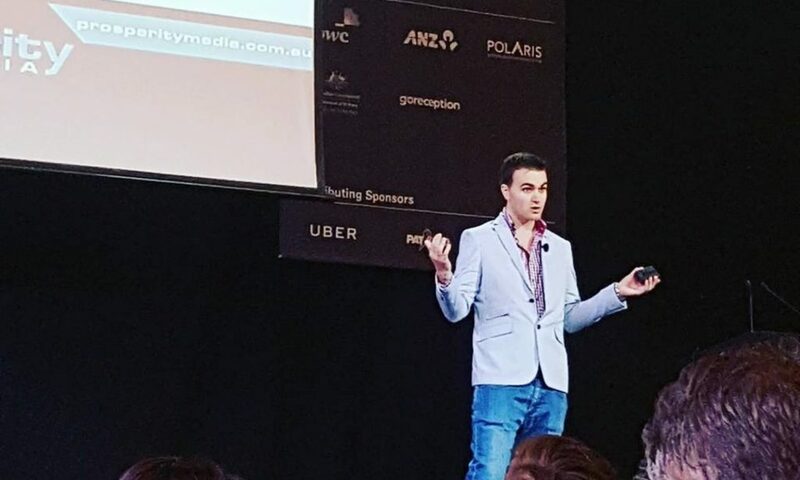 James started out in digital marketing by developing a highly successful network of content websites which generated over 24 million unique visitors for the US market which he later sold. James then moved into enterprise-level consulting, working for some of Australia’s largest clients such as Virgin Mobile Australia, David Jones, Woolworths Group, BWS, Apparel Group – SABA/Sportscraft, Open Colleges, WORKetc, Maurice Blackburn Lawyers, Slater & Gordon Lawyers, Travel NT and Citibank to name a few.